The global clinical decision support system market is predicted to grow at 13.6% CAGR during the forecast period with the market size reaching USD 2.0 billion by 2024. Clinical decision support system (CDSS) refers to software that is designed to influence clinician decision making about individual patients at the point in time. Different types of products such as integrated and standalone are majorly contributing to the clinical decision support system market size. The market has witnessed significant demand for integrated over the last few years due to escalating implementations of integrated CDSS. Based on the component, the clinical decision support system market is categorized into software, hardware, and services, of which software hold the largest share in the clinical decision support system market, globally. Repeated characteristic of services such as consulting, installation, training and development, software upgrades, and maintenance led to the fastest growth of the services segment during the historical period, which is also predicted to continue during the forecast period. On the basis of the type, the clinical decision support system market is segmented conventional and advanced. Of all, the advanced category is predicted to witness the higher CAGR during the forecast period due to healthcare organizations endeavoring to upgrade CDSS systems which execute functions such as protocol validation, population health management, health economics management, and treatment planning. Moreover, of all types, conventional category accounted the larger share in the clinical decision support system market. On the basis of the product, the clinical decision support system market is segmented into integrated and standalone. Of all, the integrated category is predicted to witness the higher CAGR during the forecast period. Moreover, of all products, integrated category accounted the larger share in the clinical decision support system market due to escalating implementations of integrated CDSS. On the basis of the model, the clinical decision support system market is segmented into knowledge-based, and non-knowledge-based. Of all models, knowledge-based category accounted the larger share and predicted to witness the higher growth during the forecast period in the clinical decision support system market, due to various advantageous functionalities, such as helping clinicians to make clinical decisions in the case of doubts. These systems can also be integrated into clinical workflows and are less prone to errors as compared to non-knowledge-based systems. On the basis of the delivery mode, the market is segmented into web-based, on-premise, and cloud-based. Of all, the clinical decision support system market size for cloud-based is expected to grow at the fastest rate during the forecast period, globally, due to its affordability, scalability, and affordability, and the lower capital expenses and operational costs. In addition, of all delivery modes, web-based accounted for the largest share of the market. On the basis of the application, the market is segmented into drug dosing support, drug allergy alert, drug-drug interaction, clinical guideline, clinical reminder, and others. Of all, the clinical decision support system market size for a clinical reminder is expected to grow at the fastest rate during the forecast period, globally. In addition, of all applications, drug allergy alert accounted for the largest share of the market. 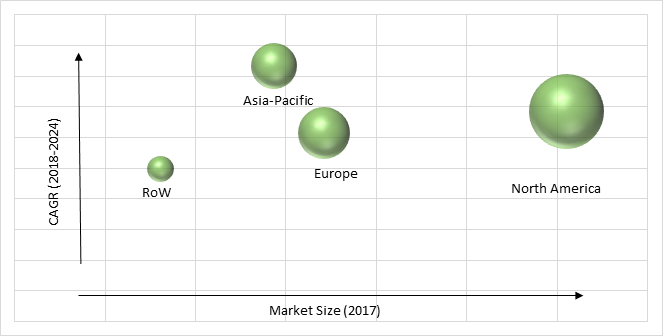 The mounting occurrence of chronic diseases, budding implementation of cloud computing in healthcare, expanding the geriatric population, escalating government support and initiatives, the mounting occurrence of medication errors, and high returns on investment for CDSS solutions are the key factors leading to the growth in the clinical decision support system market, globally. Some of the other key factors driving the growth of the industry are the technological advancements in healthcare IT solutions, mounting importance, and usage of big data and mhealth tools, and escalating partnerships between medical research groups and clinical decision support companies. Key factors hindering the growth of the clinical decision support system market are the data security issues, disinclination to accept mobile CDSS, huge investment for information technology infrastructure, and lack of interoperability. In addition, the lack of skilled professionals, and the integration of CDSS solutions within healthcare organizations are also having a negative impact on the growth of the market. Geographically, North America is the largest clinical decision support system market as the region occurrence of medication errors is increasing, and the mounting requirement for quality healthcare delivery. In addition, regulatory mandates, escalating healthcare IT expenditure, technological advancements in healthcare IT solutions, and mounting occurrence of chronic diseases are also fueling the growth of the North American clinical decision support system market. Asia-Pacific is observed to witness significant growth in the clinical decision support system market during the forecast period, as the region comprises a large population. Moreover, the mounting occurrence of chronic diseases and escalating occurrence of medication errors are also facilitating the significant growth of the Asia-Pacific clinical decision support system industry. Market players in the clinical decision support system industry are investing capital to develop technologically advanced systems. In June 2018, IlumiCare integrates with Epic EMR to improve its clinical decision making. Wolters Kluwer Health, Cerner Corporation, Philips Healthcare, IBM Corporation, Hearst Health, Epic Systems Corporation, Allscripts Healthcare Solutions, Inc., Mckesson Corporation, and MEDITECH are some of the key players offering solutions for clinical decision support system.